Achievable. 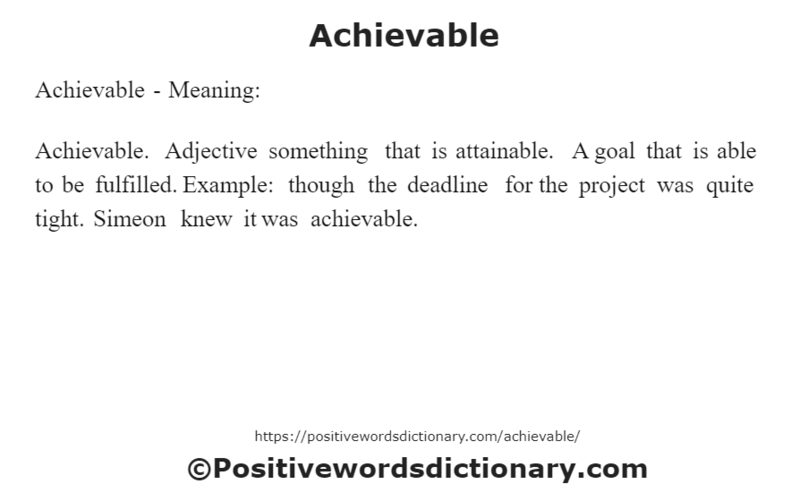 Adjective something that is attainable. A goal that is able to be fulfilled. Example: though the deadline for the project was quite tight. Simeon knew it was achievable.